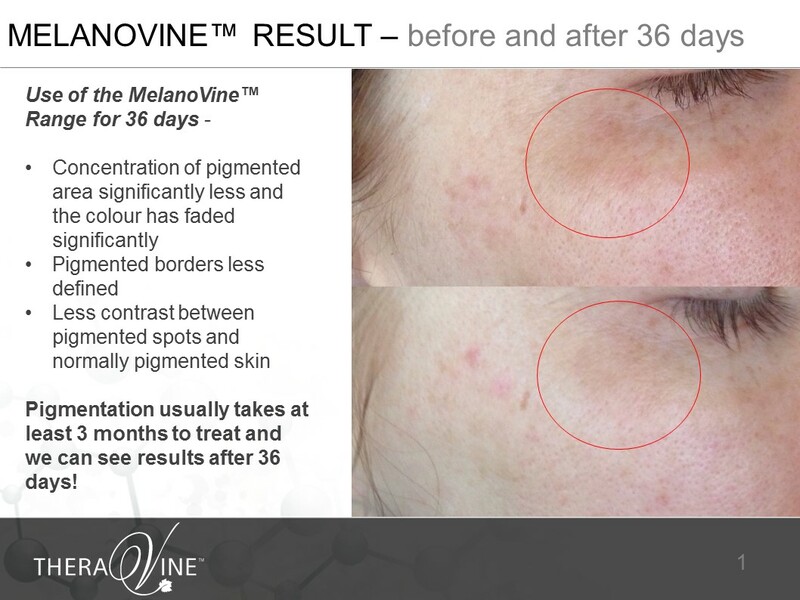 Hyperpigmentation is caused by the overproduction of the brown-coloured pigment known as melanin. 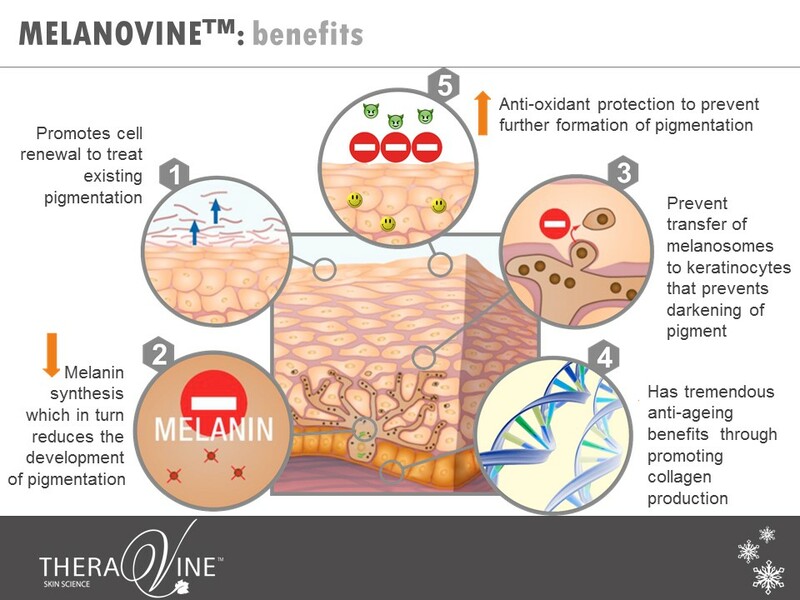 The development of pigmentation in the skin is influenced by of a number of internal and external factors of which the number one cause is excessive sun exposure to which the skin naturally reacts by producing large quantities of melanin in defence. 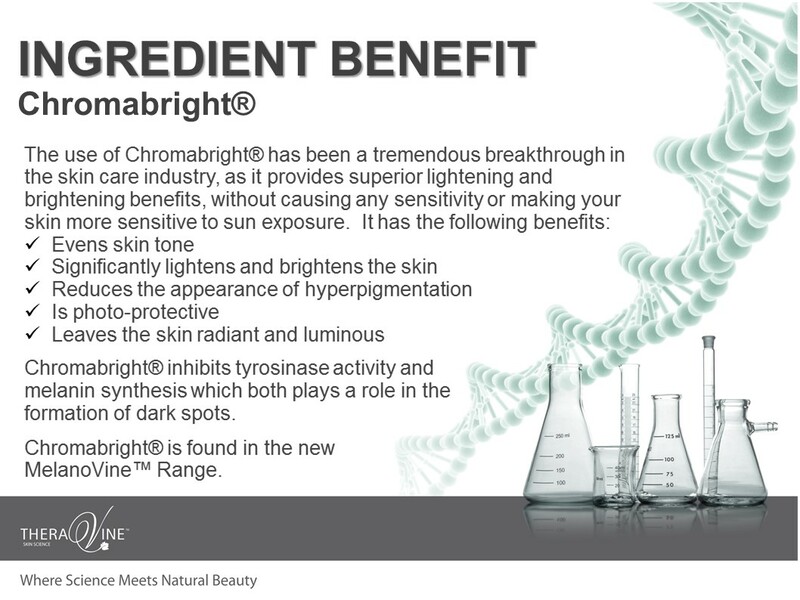 Extensive research has gone into mastering the formulation of the cutting-edge Chromabright® (Dimethylmethoxy Chromanyl Palmitate) peptide into the 6 products that make MelanoVine™. 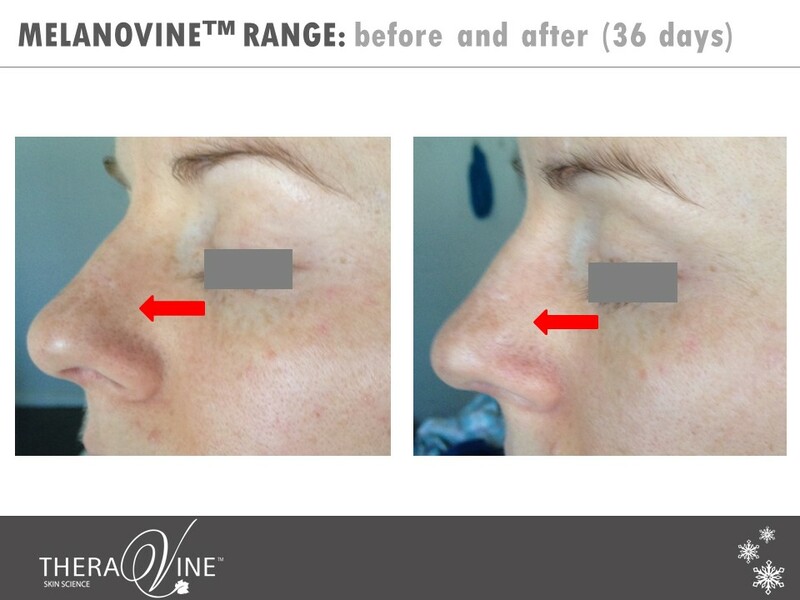 With its ability to target the root of the problem and deliver results in an intensity comparable to some non-cosmetic procedures, this active is considered light years ahead of its time. 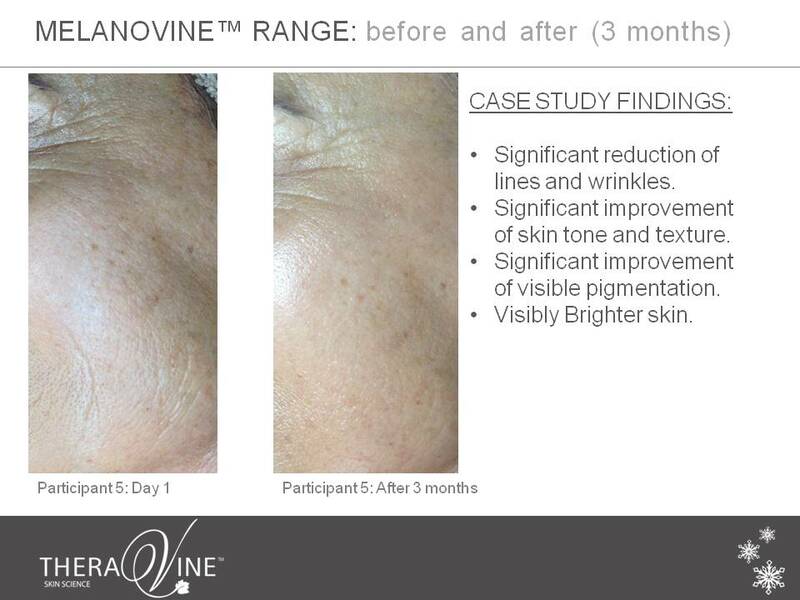 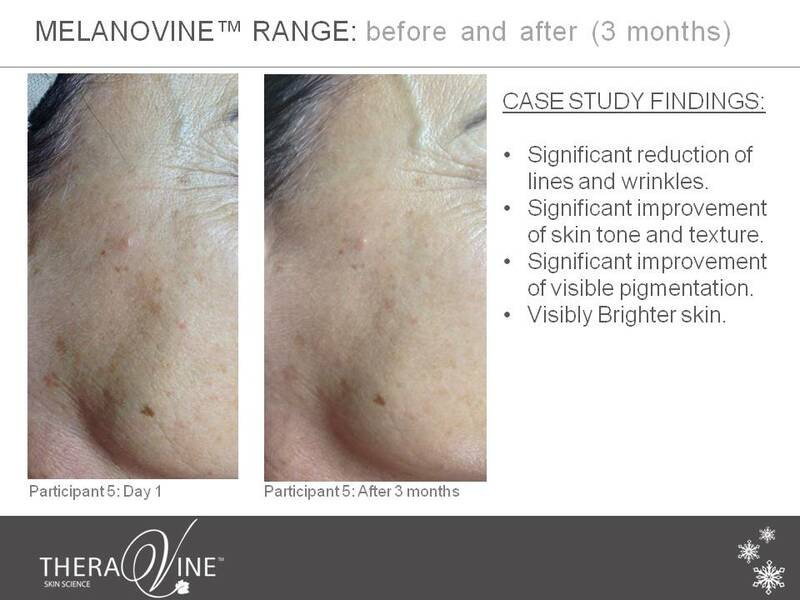 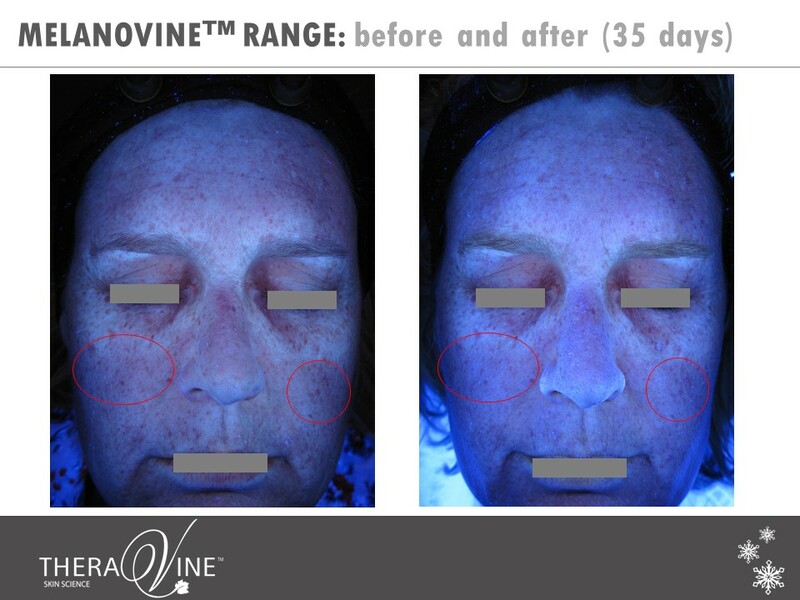 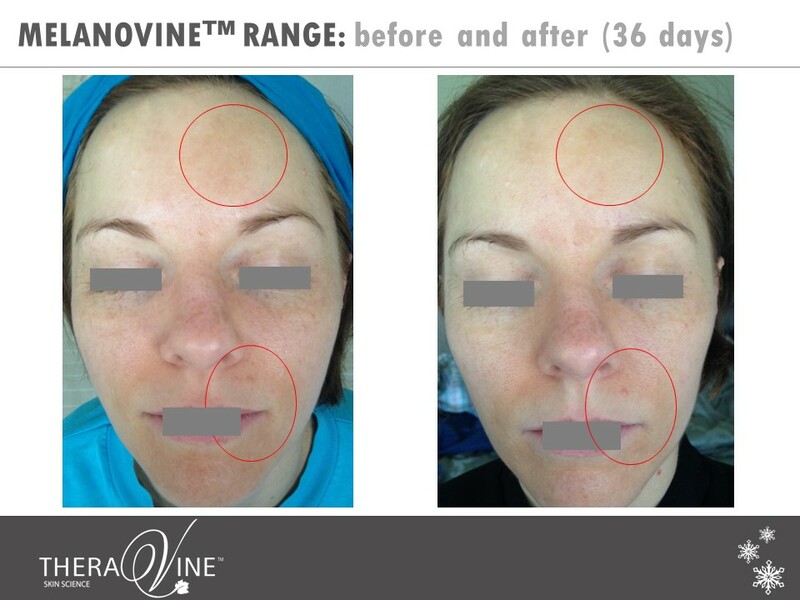 Using 2 cutting edge melanosome inhibiting peptides, a combination of 5 active ingredients comprised of Advanced Hydrating Systems and Anti-Oxidant Phyto-Chemistry as well as the nano-encapsulation technology of a revolutionary bilayer liposome, the formulations leave the complexion brighter, younger and more uniform.